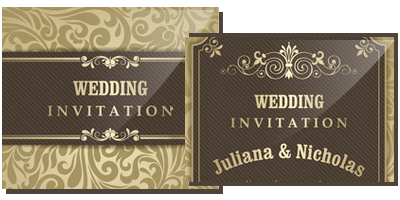 Wedding Card Designing Software designs wedding invitations cards to invite your friends, relatives and many other people on special occasion of your marriage. 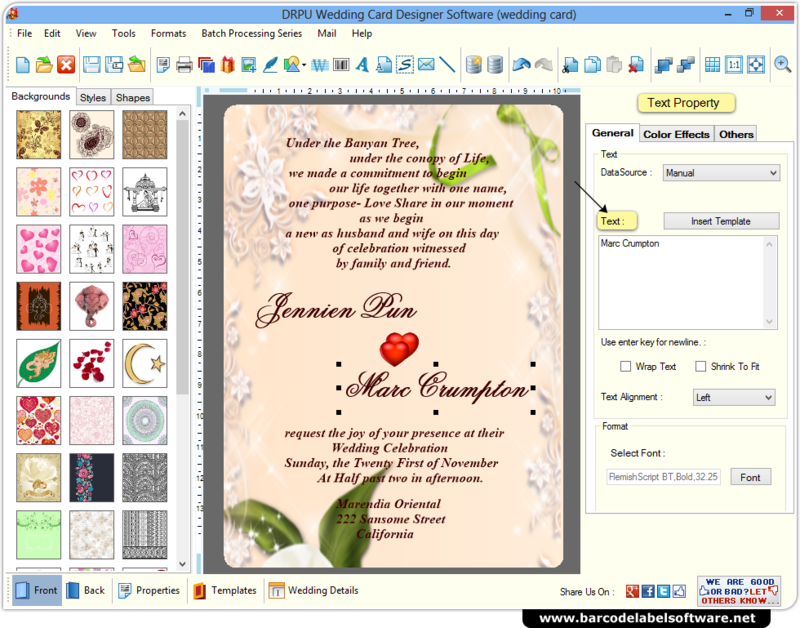 Program easily creates bulk number of wedding cards using advanced data set series feature. Software provides facility to add Backgrounds, Styles, Shapes and Wedding Templates on the card. Email Settings: Software facilitates you to send designed wedding cards on any specified email id. Batch Processing Series: Create multiple wedding invitations with different barcode and text value. Image Designing Tools: Design wedding cards using Line, Pencil, Signature, Barcode, Arc, Text, etc. Print Settings: Print designed wedding invitation cards using advanced print settings. Photo Adding Feature: Provides facility to add photos or image from library for creating wedding cards. Advanced Color and Background Settings: Provides inbuilt color and background settings to create colorful wedding cards.